Fiat Near Deal to Buy All of Chrysler? Hannelore Foerster/Bloomberg via Getty ImagesFiat CEO Sergio Marchionne at the Frankfurt auto show in 2011. Shares in Italian carmaker Fiat rose more than 5 percent Monday after its top management pulled out of the Frankfurt car show, fueling speculation it may be close to a deal, possibly to buy out the rest of its U.S. unit Chrysler. Fiat said on Friday chief executive Sergio Marchionne wouldn't go to Frankfurt because of "work commitments," without elaborating. Chairman John Elkann has also pulled out of the key industry event, his spokesman said Monday. "The absence of Marchionne at such an important event makes you think he has something more important to do and this boosts speculation," a trader said. A source familiar with the situation said Marchionne was staying in Italy, but didn't give any other details. Another Milan-based broker said Marchionne may be involved in negotiations with a U.S. health care trust to reach an agreement on the purchase of the trust's stake in Chrysler. Fiat is expected to buy the trust's 41.5 percent holding in Chrysler and then merge the two manufacturers to create the world's seventh-largest auto group by sales. The United Auto Workers health care trust became Chrysler's second-largest shareholder when Chrysler emerged from bankruptcy in 2009 and the union swapped future health care payments owed to it for a stake. The health care trust, known as VEBA, manages those health care benefits on behalf of the union. Fiat and VEBA have been at loggerheads over the price for the minority stake, and Marchionne may be looking to settle the dispute out of court to avoid a lengthy legal battle. "The news of Marchionne's absence from Frankfurt has surprised everyone a bit," another trader said. "Now there is hope of some acceleration in the negotiations with VEBA on the Chrysler stake." Should the battle with VEBA proceed to court, Fiat may have to wait until 2015 for a trial, which in turn could take more than a year to complete. Fiat runs the two automakers as a single company, but wants to buy the rest of Chrysler to squeeze out more synergies, cut borrowing costs and access some of Chrysler's cash flow. Shares in Fiat were up 4.4 percent at €6.065 by 1225 GMT (8:25 a.m. Eastern time) after earlier hitting a session high of €6.12. The stock was outperforming a 1 percent rise in the DJ Stoxx index for the European auto industry. Some traders also suggested that Marchionne might have withdrawn from the Frankfurt show to prepare an upcoming roadshow for truck and tractor maker Fiat Industrial, which is merging with its U.S. unit CNH. However, Fiat Industrial stock was only up slightly Monday. 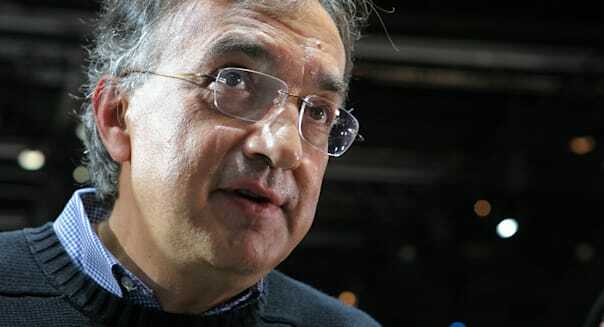 Marchionne is the chairman of Fiat Industrial. A recent Interest.com study looked at the 25 largest metropolitan areas in the United States to see which median-income households in those respective areas can afford to purchase a new car, the average price of which was $30,550 in 2012, according to TrueCar. The study found that in only one city can residents actually afford a car with this sticker price -- Washington, D.C. Households with an average income in Washington, D.C. can afford a payment of up to $628, which would allow for purchase of a $31,940 vehicle. The next closest city, San Francisco, can only afford $537 per month, equating to a $26,786. While it's not news that Americans like to buy things that they can't afford, the data is a little surprising given how many great cars there are out there for well under $30,000. Solid hybrids, CUVs, sedans and sports cars can all be had for less than this. We've racked our brains and come up with 5 of the best cars that are cheaper than the average car's purchase price. These are affordable, versatile, fun and fuel efficient. Of course, there are some stinkers in this price range, as well, so we've included 5 vehicles we think you should avoid. The Subaru BRZ proves that driving bliss doesn't have to cost a fortune. The rear-wheel drive sports coupe is one of the most engaging vehicles on the road today, with utterly superb dynamics and looks. The best part? You can have one for $25,495. Although the redesigned 2014 version of this handsome hatch will be on sale in the near future, the current generation is still worth buying. It's fuel efficient, fun and surprisingly versatile. Starting at less than $20,000, the Golf is also quite affordable. The Toyota Pirus v is essentially a bigger version of the popular Prius hybrid. This hatchback acheives stellar fuel economy while allowing for transport of numerous people and all of their stuff. Starting at $26,650, you can have all the benefits of a versatile hybrid for an agreeable price. The Mazda CX-5 is one of our favorite crossovers here at AOL Autos even when taking more expensive ones into account. Remarkably fun to drive, fuel efficient and starting at a low price, there's a lot to love about this agile utility vehicle. This small sedan continue to be the darling of both critics and consumers nationwide. Available with tons of standard features, great looks and sweet fuel economy, the Elantra is one of the best cars on the planet right now. The 200 is a holdover from when Chrysler was owned by Daimler and then private equity-firm Cerberus Capital. It's not that this car is awful, especially since the new Chrysler, managed by Fiat, made a series of improvements. It's that the other cars in this category are so good, and much better designed and engineered. The Scion tC is intended to be a sporty coupe. The problem? It's not sporty. At all. In fact, the tC finds itself on the Consumer Reports list of the least fun cars to drive and we're inclined to agree with that assessment. Short on features and with pretty poor driving dynamics, the Dodge Journey is one you should skip if you're shopping for a sub-$30,000 crossover. We're looking forward to Dodge's next attempt. Don't be fooled by the badge. This is not really a luxury car. With uninspired driving dynamics and a lackluster interior, you should pass on the ILX even though its low sticker price seems very tempting. The idea of the smart fortwo is great. It's the execution that's the problem. The fortwo is loud, terrible to drive and really isn't all that fuel efficient, considering its size. There are way better options between $10,000 and $20,000.